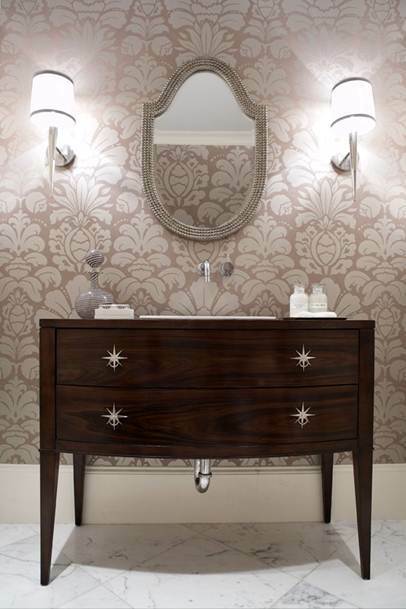 Repurpose a dresser or bureau as an unexpected vanity in your powder room. 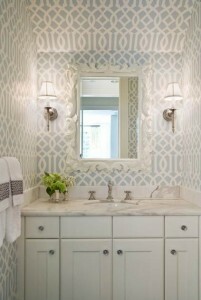 I don’t know about all designers, but for me, a powder room is my absolute favorite room in a house to design. Does that surprise you? It does seem funny until you consider the aspects of that space: it’s small, it is separate from the rest of the house, and it is the one place all of your guests will see at some point. So really, the powder room is the star of your house! And what’s even better is there are no rules for decorating a powder room. That means you can get a little crazy in there, and that’s where the fun starts. A fully tiled wall creates more impact (and is less costly) in a small space. For example, I have a client who has a beautifully decorated home, but she loves Paris because she and her husband were engaged there. Of course she wasn’t going to use Paris-themed decor throughout the house, so she focused it on the powder room. That little bathroom is dramatic black and white, with accessories and artwork reflecting Paris and the Eiffel Tower. Another client of ours did a beach theme with teal walls, white wainscoting and towels with surfboard appliqués. So cute and creative! Maybe you don’t have a particular theme for your powder room, but you can still change up the look by adding wallpaper, wainscoting, beadboard or tile. These are much more affordable in this smaller context, and you can be more creative with their application. Wallpaper on the ceiling? Why not? After all, the more wallpaper you use, the less artwork you need. The same goes for fully tiled walls, or even a combination of wallpaper or tile with molding. Wallpaper – even on the ceiling! – gives this powder room its distinctive touch. 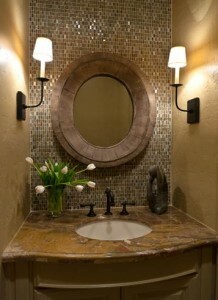 The powder room is also the place to get inventive with the sink. Perhaps you found an antique dresser or chest of drawers you like that doesn’t work in your bedroom. Instead, use it as a bathroom vanity by having a plumber set a vessel sink on top and plumb the unit from the wall. Put a decorative mirror over the top and voila, you’re done! You can go as dramatic as you want with color in the powder room. 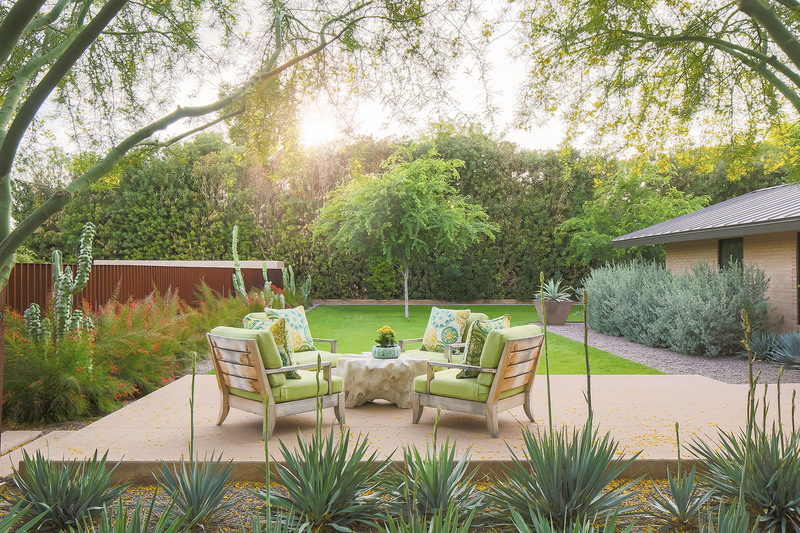 This is the place to let your inner fuschia or midnight blue come to life. Don’t be afraid to use color! Since it’s a small space, you can’t have many accessories so all the color and pattern comes from the walls. Break the rules! Want to redo your powder room? We are happy to provide a complimentary personal consultation. Please contact us for more information.